If you are the one troubled by singling out an optimum Windows (10) Video Converter, or who just want to take a shortcut to find the best video converter for PC, apparently you come to the right place. Digital Age! PC/cool gadgets are to people as dinner is to us all. People spend more time than ever watching videos for entertainment, making videos to freeze and share moving moments or downloading videos for collection. Hundreds of video file formats out there make video converter a necessity. We are talking about best 3 video converters for Windows 10/8/7 here, because 90.6% computers are equipped with Microsoft Windows (data from Net Applications of December 2013). We will analyze 2018 - 2019 best 3 video converters for Windows 10, providing you with pros and cons, similarities and differences roundly. Check out the respects you care about and pick yourself the most appropriate video converter for Windows 10. Generally, all of the 3 video converters for Windows 10 mentioned above can perform well to meet your need of video converting on PC. Therefore we will turn to several specific aspects, including OS support, ease of use, input and output formats, converting speed and quality, multifunctionality and provide you users review as a reference. VideoProc supports all Windows OS, like Windows 7, Windows 8 and Windows 10, so does Wondershare Video Converter Ultimate. Windows users can feel free to install the two video converters on your PCs. Surely Total Video Converter is for Windows and it may support all Windows OS, but there is no explicit supported system information. So you may have to try. All of the 3 Windows 10 video converters have straightforward interfaces, while that of Wondershare Video Converter is more visually appealing and the same goes to VideoProc. With less high-tech interface, Total Video Converter still wins a lot of users for its simplicity. But Total Video Converter lacks an option of an amazing feature of drag-and-drop video files on the main interface, which makes the other two video converters for PC simpler and easier to navigate in the very beginning of video conversion on PC. VideoProc: ALL-IN-ONE video converter as HD/4K video converter, DVD converter, audio converter, video editor, video downloader of YouTube/Facebook (Vimeo, Dailymotion, Yahoo! Video, Metacafe, Myspace, etc) and video recorder. Good news is that this Windows 10 video converter features Intel/NVIDIA/AMD hardware accelerator, making it 5X faster than its competitors. Total Video Converter: Performs as video converter for PC, photo slideshow maker (not compatible with PNG images), flash video downloader and DVD ripper and burner. Wondershare Video Converter: Video converter for Windows, DVD ripper, DVD burner (ONLY to DVD folder and ISO file, so actually it means ripper), Web video downloader (good with YouTube but incompatible with some of the other sites). They all are excellent video converting tools for Windows 10/8/7. Total Video converter is a good tool in functioning as both DVD ripper and DVD burner. 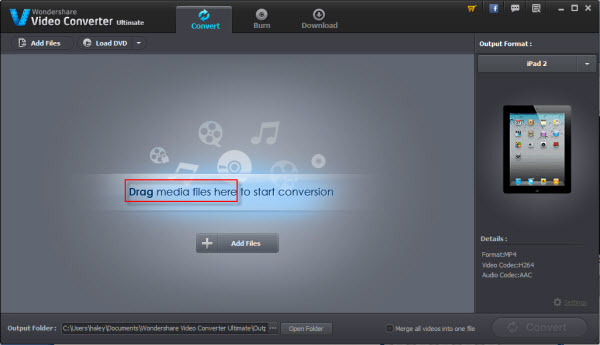 Wondershare Video Converter attracts our attention by its ability to convert 2D to 3D. However, 3D technology still has a long way to go and is not really so popular in our daily life. VideoProc would be your best choice if you need an all-round tool to convert DVD, record screen and webcam, download web video more than just a video file converter. All of the 3 Windows 10 video converting programs can handle an extensive list of video file types, converting between all mainstream video formats, including HD videos (MKV, M2TS, MTS, AVCHD, MOD, etc), SD videos (AVI, MPEG-4, MP4, M4V, WMV, MOV, etc) and support batch conversion. Both VideoProc and Wondershare Video Converter can target exactly which device you want, such as converting 4K video to iPhone 6S/6, iPad mini, iPad Air, iPod touch 1-5, converting video to Android, Microsoft etc., while Total Video Converter has only sketchy device classification except for Nokia. So if you hold a Nokia, you can choose Nokia Lumia 1020, Nokia N91 or phone model like that. But if you are a fan of iPhone or any others, there is no precise preset. Normally people are more inclined to the customized version than the general. But if this doesn't matter to you, Total Video Converter would be a good PC video converter as well. When converting small files like clips of several minutes, there may be no difference. But if you want to convert videos in high bit rate and resolution, VideoProc can fulfill the conversion fast and perfectly for its technical design of "Safe Mode", "High Quality Engine" and "Deinterlacing"
Classic features including subtitle, crop and expand, trim, merge, screenshot etc. Flexible bit rate, resolution, frame rate etc. It does what it says it will do. It is intuitive, and I couldn't imagine anything better, but what I hate more than anything are programs that install steal file associations without asking. The converter is great, but shut down a few times if I try to convert a batch of large files. This is excellent at converting videos to many other formats, no technical knowledge needed and is the fastes convertor I am aware of. Undoubtedly all 3 best Windows Video Converters are wonderful video converting tools with pros and cons respectively. To choose a best video converter for Windows for yourself, take an overall consideration of capability and price, and check out specific aspects you care about. Anyway, it's your choice. To get a better and easier enjoyment of videos, start with selecting an appropriate Window video converter! This post compiles the best video transcoders of 2019, including best video transcoder software for Windows and Mac, best free open source video transcoder and also best online video transcoder. So, you're sure to find the one you need for video converting. Top 3 MP4 converter software for Windows (10) and Mac free download. Choose the best video/YouTube to MP4 converter for PC/Mac to convert any 8K/4K/HD videos to MP4 for playback on iPhone/iPad/Android, etc. Pick out the best free video converter for Windows 10 64 bit & 32 bit to free convert HD/4K videos according to reviews of 2019 top 3 free Windows 10 video converters.